Today is a special day for all Malaysians as it marks our independence. To read more about how we achieved independence 49 years ago, click onto the Star's extremely informative site. Lots of parties last night all over the nation and we even had a virtual one over at Babe in the City - Kl's blog where she invited everyone to share their long forgotten recipes. Hop over there for yummy Malaysian food. Splashie Boy snapped this great fireworks picture last night at a party we were at. I guess my fireworks mode on the camera works well as it was all taken without a tripod. 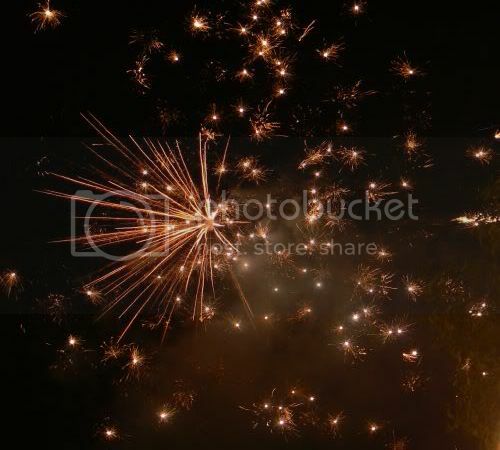 This was the prettiest of all of the fireworks launched as I love the little stars splattered on the dark night canvas. Sadly as I was busy, I didn't participate in the virtual open house but I do bring you Dunkin'Donuts all decked up like a flag. 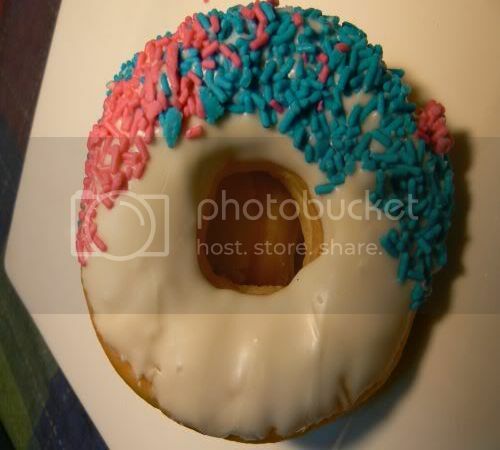 It's their tribute to the Malaysian flag with the colours of blue, pink/red, white and I guess the yellow bit must be the doughnut itself. Thought this would make a change from the usual picture of flags and hibiscus which I did last year. Kinda appropriate too for this blog since it's all about food. Recently, my cousins from Canada and Australia were back for their annual holidays and it's been one long feast with them almost every night. Since it was such a large crowd and it was extremely rude to snap lots of pictures of the food, I have been restraining myself. We did the usual tour around town for food - Chynna, Pik Wah and Overseas Restaurant for Chinese Food, Raju's for Roti Canai, Madam Kwan's for Nyonya food and Ah Wa's for hawker food. I finally managed to snap some pictures of the chicken curry in a bun we had. It has been ages since I ate this but my cousins wanted to try it. Their kids loved it so much especially the bread. In the picture above, you can see the bun in it's full glory - glistening and brown from the oven. 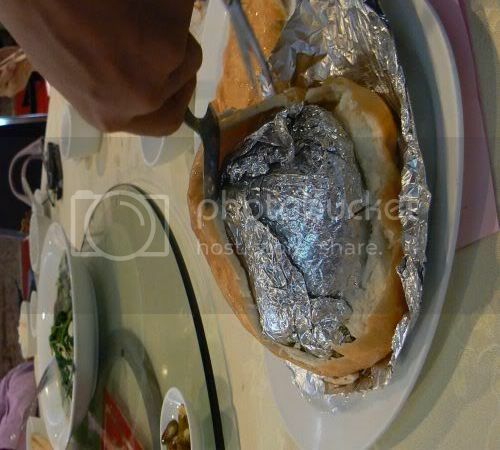 The waiter will cut the bun at the sides and remove the bread to the plate. Underneath it is a foil packet that contains the chicken curry. There's two layers - a plastic bag and foil which will be cut opened for all to tuck in. 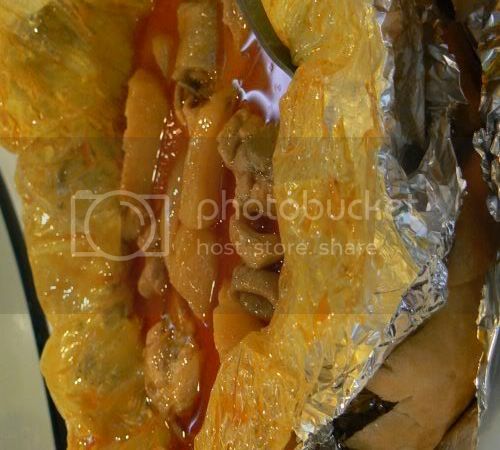 Here's a close up of the chicken curry in the bun. It's pretty watery but full of flavour. I like their chicken pieces as it's nice and tender. Dip the fried bread in the sauce and it's yummy. My cousin's kids finished the bread as they loved it so much. You can also have herbal chicken in the bun if you wish and this is usually a pre-order dish or only available during dinnertime. Eating Asia also has a blog entry on Kampar's version of this which is called Roti Ayam. I believe this idea of chicken curry in a bun originated from Kampar and mine is the restaurant version. You can also get this at Cecil Street, off Petaling Street in Chinatown at the Tang Food Court. Recently, Splashie Boy and I were revisiting old haunts and one of them was Teapot Cafe in SS2. This cafe has been around for a long time and originally started at the first floor. They have since moved downstairs to the ground floor which is their current location. The cafe is actually owned by a primary school friend of Splashie Boy's who took over the place from her mother. I love the decor of this place that's peppered with lots of teapots, decorative plates and etc which makes it a cosy retreat. 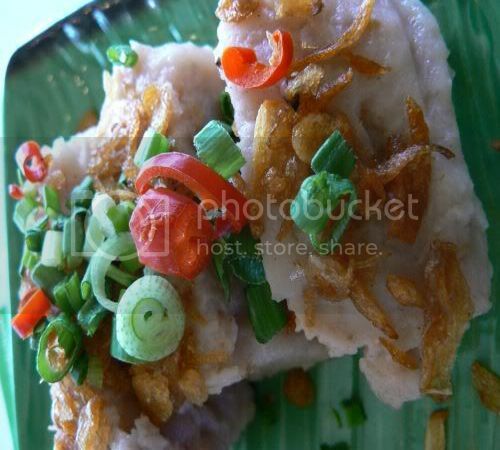 They mainly serve western food but you can get local food too like their yummy roti jala. It's advisable to eat lunch here as when it comes to dinnertime, most of the popular items will have been sold out. Kinda sad to see they have de-commissioned my favourite fish pie as this was one of the few places that sold it. I ordered a lamb chop with basil butter(RM19.50++) for that night as even my favourite Fish Milanese was sold out. 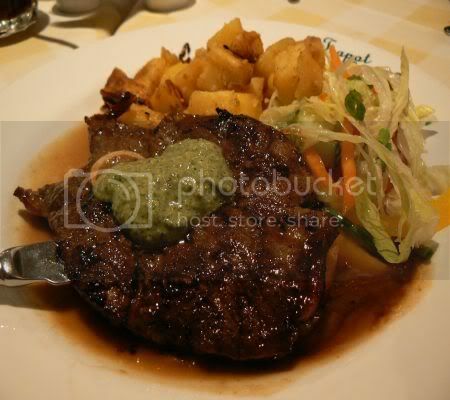 They didn't do too great a job on my lamb chop as it was overcooked! 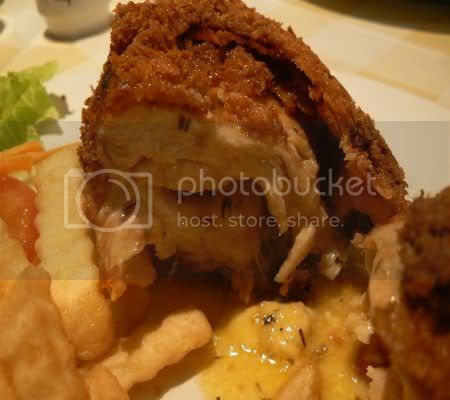 Splashie Boy had better luck with his Chicken Kiev(RM19.50++) which is comes with a yummy butter sauce within. I cut it open to take pictures and he was a bit peeved with me as his sauce seemed to have dissapeared after that. Caution should be exercised when you eat this as there's a toothpick lurking in the package which keeps everything together. If you have time during the day, do pop over and try their set lunches especially the yummy Roast Beef. I think it's served on a Tuesday but the dates may have been changed so do call to check ahead. They also do scones with jam and cream from 3pm onwards everyday which is extremely popular. I remember fighting off people for a table on Saturday afternoon just to try those scones a long time ago. Not sure if that's the case anymore as more and more places serve scones. I'm currently on the search for yummy char siu in town as the ones I have tried so far haven't really hit the spot for me yet. Recently quite a few people have recommended I try this place in Section 17's Happy Mansions area that also houses 6 to 10 Grill plus Food Foundry. I actually have good and bad opinions about this place. Although the char siu here is above the average type you find in the barbequed meats stalls, I'm kinda peeved with this place as I find the quality of the food to be not consistent. The good points about this place is they serve nice chicken soup that comes wth gei zhi (wolfberries in English), cucumbers and chicken legs. Their chicken is fried and the skin is really crispy and the char siu depending on which cut you get is pretty good. Having said that, I was not impressed with service as I find the servers to be generally unfriendly. I don't mind sour faces but what irked me was they were not giving me pointers on how to order from their stall hence it took me a while to tweak the orders to get what I wanted. 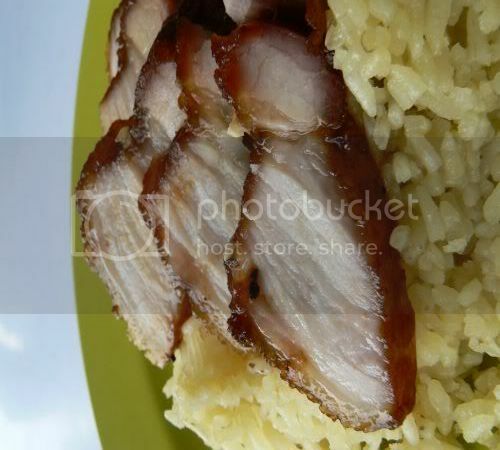 For instance, my first plate of char siu was inedible as I did not ask for "half fat half meat" and their siu yoke was so fat. Consistency is also an issue as I went here a total of three times and I had different experiences with their char siu that ranged from bad to very good. If you are in the area, do give the food a try and I'll love to hear your experience with it. It's also advisable to eat there early as the food runs out quite fast. I'm hosting Weekend Cat Blogging (WCB) this weekend in the absence of Clare of eat stuff. Recently I noticed my WCB number count is entirely different from everyone else's because I posted an extra WCB post a few weeks back when Clare was away. Sorry about that but since it's extremely difficult for me to undo my posts, can you all skip WCB 63 and jump straight into WCB 64 onwards. Thanks so much. On to my kitties - I was snapping pictures of these two and they decided it was time for some hide and seek behind the curtain. 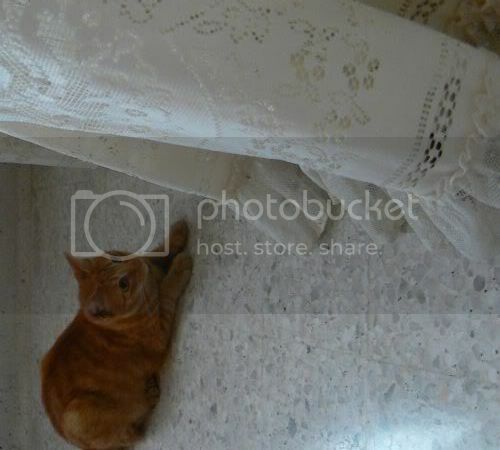 In the picture above, you can't see Fluffy as she's well hidden under those curtains but Ms. G definitely knows she's behind them and waits patiently to strike. Patience pays off as Fluffy's tail emerges and now Ms. G moves in for the kill! Time to attack that pesky little fluff ball says, Ms. G as she always steals my food and hugs from my mummy. It wasn't much of a fight since I was around to break it up when it got violent. 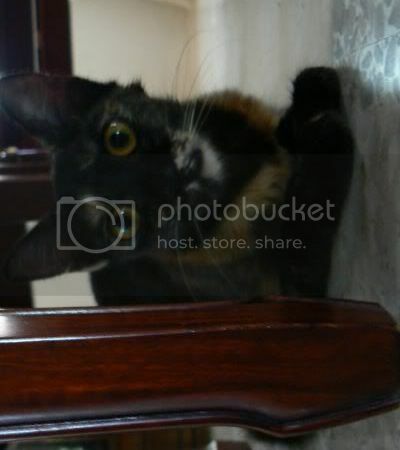 I'm sure you wish to see more of Fluffy besides her tail so here's a snap of Fluffy hiding under the antique chairs just before the curtain incident. Do send me your links with kitty pictures and stories for this weekend. You can leave them under Blogger's comments on the right hand side or Haloscan Comments for Non Blogger users on the left hand side. Alternatively email me at boo_liciouskl@yahoo.com with the links. It's interesting to see the trends in food which is influenced by foreign countries - we have the Hong Kong chan tengs, Shanghainese food movement with Lai Mian and Xiao Long Baos, Argentinian steak houses and now the Indonesian invasion. Although Indonesian food has been here for quite some time in smaller shops, we seem to be getting invaded by Indonesian franchises like Sari Ratu, Natrabu and now, A Fung Baso Sapi Asli. If you google it, you'll find loads of references to this place as it has branches all over Indonesia. They now have an outlet in Desa Sri Hartamas which we tried some time back hence my memory about the prices is quite fuzzy. It does not help too that the thermal paper for the receipt has also faded with time. 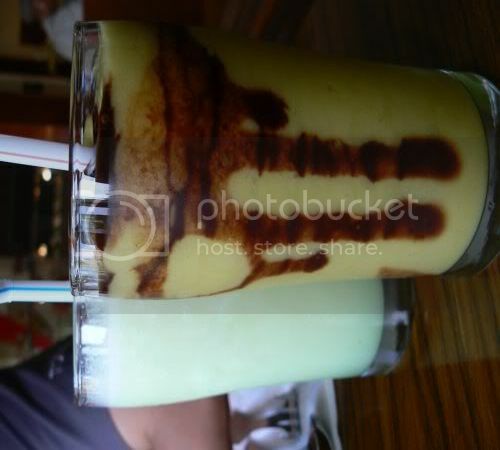 Food Safari has actually mentioned the place before and she has a pretty detailed list of the menu items in her blog. This place is famous for it's Baso or Bakso which is basically beef balls which they serve in a few varieties. To test the different varieties, I had the Baso Sapi Asli Komplit which came with the normal Baso, Baso Urat (made with beef tendon and is slightly chewy), Baso Tahu (Tofu stuffed with Baso) and Baso Jamur (made with bits of mushrooms). I can't remember the actual price but I do remember it was around RM10 which can be quite pricey as the portions are not huge. 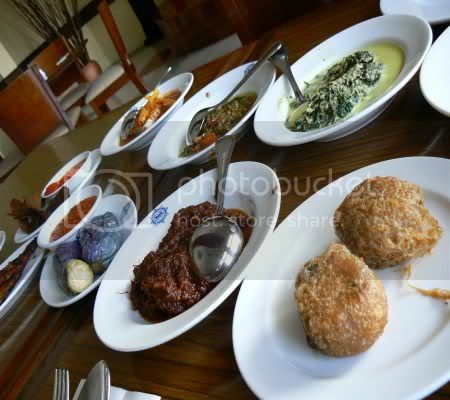 I actually like the food and Baso Urat was my favourite as it was nice and chewy. 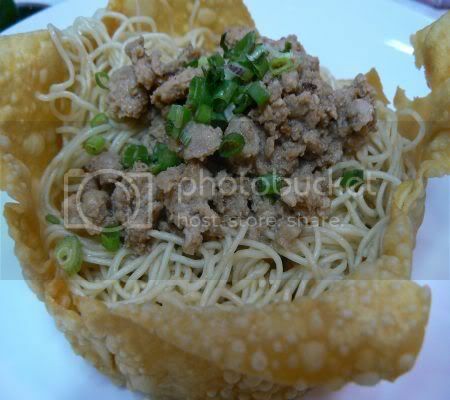 Splashie Boy had their Chicken Noodles (Bakmi Ayam) which comes in a deep fried wantan skin shell. Thumbs up to the noodles as it was nice and springy. 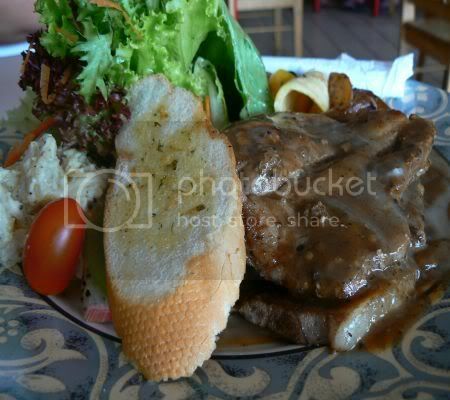 However the portion was quite small so if you are a big eater, you will need to order additional food items. This place also serves Teh Botol Sosro, the must have drink with your Baso according to Splashie Boy. It's basically ice jasmine tea and surprisingly it does taste great with Baso. Although the food is pretty good here, I have noticed that not many people frequent this place. Suspect it could be due to pricing as I felt it was a tad pricey for the portions they served. There was one time they were running a lunch promotion where free drinks were given and I guess it may have worked as I do see a slight pick up in their business at night. When it comes to food in Shah Alam, I'm often at a lost on what to eat unless I settle for Mamak food. Before we found Eat Work Shop, this place known as Big Plate was the default location whenever we wanted to eat a decent meal. The portions of the food served here is huge hence the reference to a big plate. There's also a copycat version of this place in Section 9, Shah Alam called Big Portion which we have heard about but not tried. Like all western food places, this place serves fruit juices in huge glasses to quench your thirst. For their soups, they serve them in a bread bowl which reminds me of how they serve the famous clam chowder in San Francisco. It used to be a new thing in town but nowadays it's been copied by most of the cafes. The tricky part is drinking the soup and eating the bread together to make sure the bowl does not break apart. Splashie Boy had the Chicken Piccata (RM19+) that is essential slices of chicken coated in a flour batter that is then pan fried. 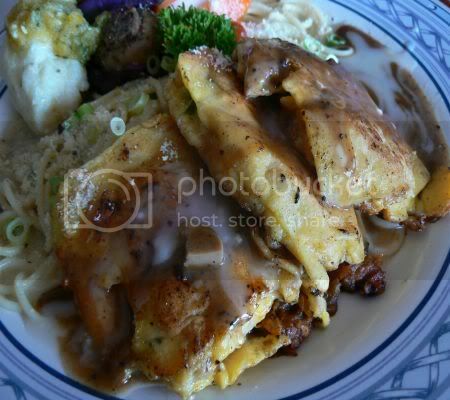 It's served on top of spaghetti with a creamy sauce and lots of vegetables. I love their side items they serve as it's pretty unique. For this dish, I always steal the Cauliflower Polonaise from his plate as I love the cauliflower served with a topping of hard boiled eggs and bread crumbs. This place is great for salad lovers as they serve yummy salads versus the usual cucumber, tomato and lettuce combinations most places resort to. My Kambing Banting (RM20.50+) was so full of salad leaves, it made up for the fact I was eating cholestrol laden lamb shoulder. They also served potato salad and a piece of garlic bread. Besides these items, they have a few pasta dishes and interesting named dishes after places in Selangor like Ayam Shah Alam, Steak Kelang, Chicken Subang, Ikan Morib and etc. Recently we were looking for food and decided to swing by Hartamas Shopping Centre. Lots of changes there especially the ground floor - Kenny Rogers Roasters has an outlet right next to the supermarket, more small stalls along the middle part before the supermarket which includes Famous Amos Cookies, 1901 Hotdogs outlet, Penang Village shifted from Desa Sri Hartamas to the mall and Eric's Deli has gone from pork free to pork feast. Penang Village was packed and really nicely decorated hence we decided to give it a try. It's been ages since I ate at their outlets which they have been slowly expanding. Looks like it was a great idea for them to shift to the mall as business is definitely better. We totally love their decor - red walls, chinese red and black baskets hanging from the ceilings which they converted into lights and nice cushy leather chairs to sit on. I always hated their previous chairs from the Desa Sri Hartamas outlet as they were so uncomfortable. The menu has lots of new items and came with lots of pictures. Old favourites like their Heh Bee Soft Shell Crabs are still around. This place is not cheap though - equivalent of Madam Kwan's but with a different variety. Since it was a quick dinner, it was one dish meals that night - Nasi Tomato with Lamb Korma for Splashie Boy and Assam Laksa for moi. Their Nasi Tomato (RM12.90+) is nicely presented in a long platter as seen in the top picture and is served with a choice between Curry Chicken or Lamb Korma. This particular order is with Lamb Korma. Here's a close up of their rice which they shaped in a cone that reminds me of how they present it in Hot Mama's and Rahsia Bistro. 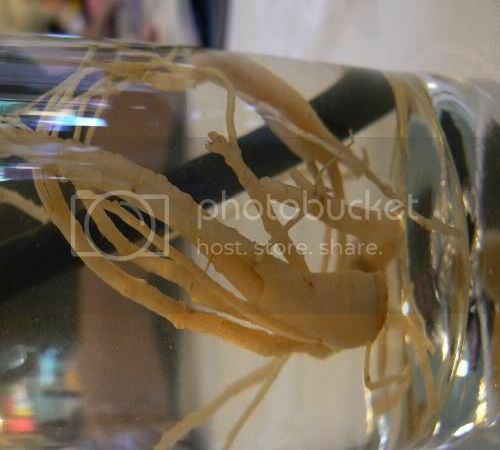 A small shot glass contains the pickles and lots of pappadams to whet your appetite is served. I didn't manage to taste the food as I was busy with a phone call but Splashie Boy said the food was pretty good. Usually whenever I eat at Penang Village, I would order their Char Kuey Teow but that night, I wanted something soupy and spicy hence I ordered their Assam Laksa (RM8.90+). Pretty good I thought and served in an unusual boat shape bowl. There were lots of fish and the soup was nice and tangy. Sadly we didn't have any desserts even though I tried to persuade someone to have their yummy Cendol. These are one of the few places in town that serves Durian Cendol so if you wish for a fix besides driving down to Melaka, give it a try. Gosh, the haze is really getting to me as it seems extra hot and humid nowadays. Recently I stopped by this tong sui shop in SS15, Subang Jaya for some cold respite from the heat as I remember one of the blog readers, Flower from Perth mentioning it before. Located in a corner shop where lots of Internet Cafes dot the area, this place serves halal tong sui and snacks. Pretty interesting menu and it looks like they have also branched out to serve lunches with chicken chop and local offerings. As a snack, I tried their yam cake (Wu Tau Kou in Chinese, RM2) which was pretty good. I liked how they served it hot which made it a pleasure to eat and lots of fried shallots on top. It would have made my day if it came with chunks of yam inside. They have lots of tong sui offerings ranging from a three bean dessert, green beans with sweet potatoes, bubur chacha, wheat, peanut, barley and gingko, and special tong sui. 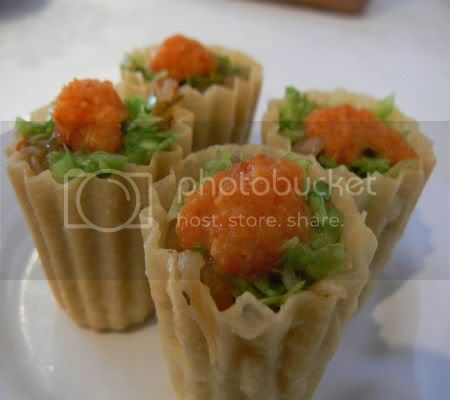 These special tong sui is like the one above i.e. 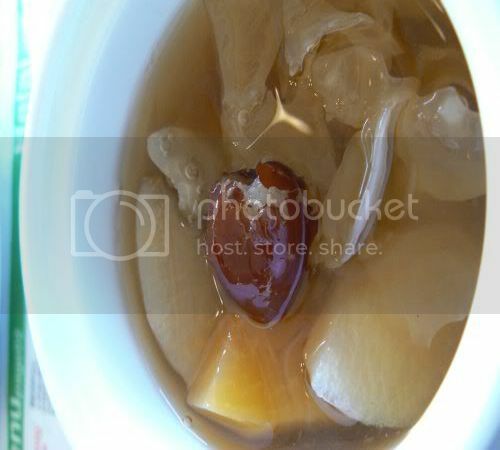 pear and papaya with white fungus (RM3.50). Other varieties includes water chesnuts and honey dew. They also serve cooling teas in bottles and icy cold shaved ice desserts. The tong sui is pretty okay but I felt the portion was quite small and would have preferred their conventional tong sui which was priced at RM2. I know I have been tempting all of you with lots of fried snacks that are so sinful but I thought I should not miss out those yummy Indian snacks. 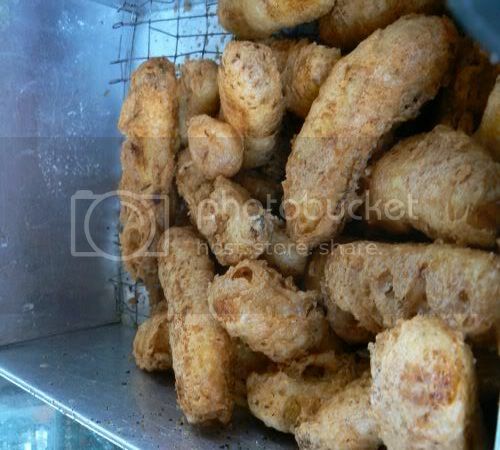 These are served during teatime and in my opinion, one of the best in town as they're always freshly fried. I'm not sure if many of you know that besides serving one of the yummiest roti canai (very crispy please!) 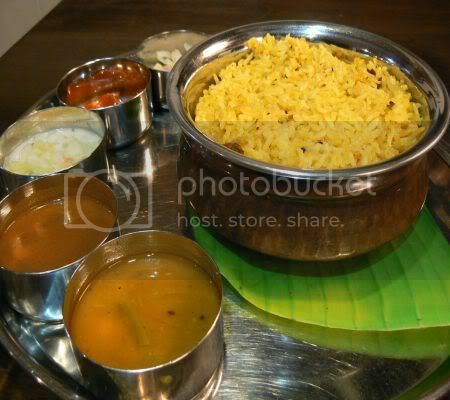 and banana leaf rice, Raju's also serves very yummy teatime snacks from 3 to 6 pm daily. This was actually introduced to me vide my brother in law who is the ultimate fan of Raju's. 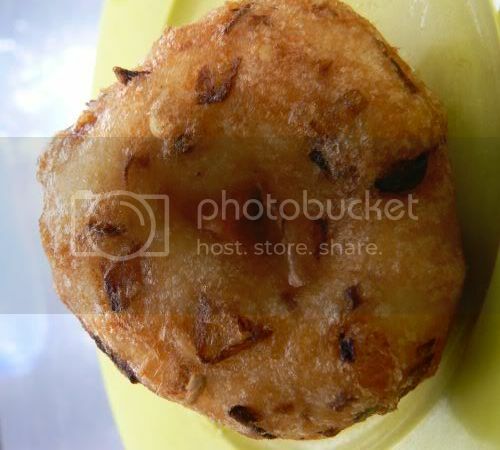 There is quite a large variety but the more traditional Indian snacks are the Ulundu Vadai or what the fellas at Raju's call, the Lubang Vadai. Bite into one with a crispy exterior to find a soft centre and lots of chopped chillies for extra kick. 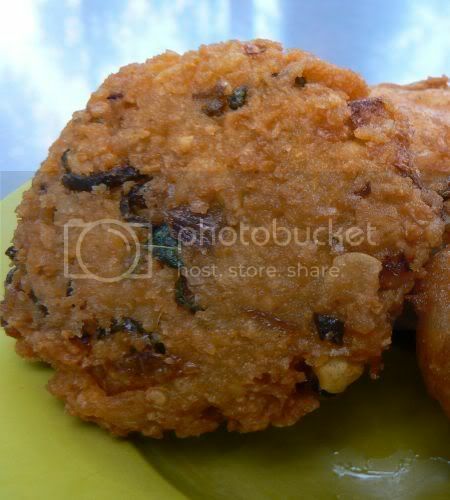 This is another variety of Vadai called Masala Vadai which is made from dhall or chickpeas. It's very crunchy and for some stalls if it's not done right, it can be hard to eat. Besides these snacks, do try their fried bananas as it's as good or even better than the ones served in the Chinese stalls. Here they use ripe bananas and the batter is light and crispy. Wash all this down with a hot glass of teh tarik (preferably kurang manis) and your tummy will be in heaven. I do find the prices of their snacks to be slightly on the higher side at RM0.60 versus other Indian snack stalls but they make it up for it as it's much nicer. 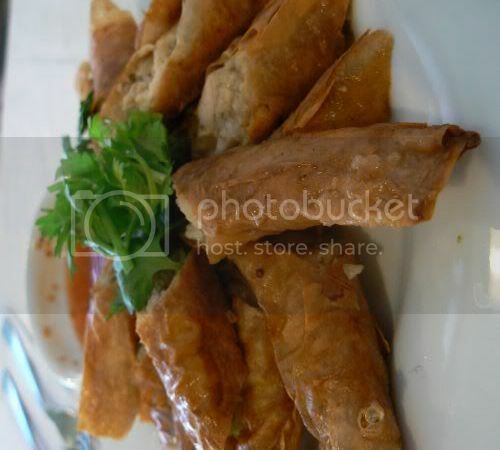 They also serve curry puffs and other fried items. And if you're a Petaling Jaya resident, it's also nice to sit outside near the La Salle school field which brings back lots of memories for Splashie Boy and I. At the new house, we have quite a few stray kitties. Luckily everyone loves kitties around the area so they get pretty well fed. 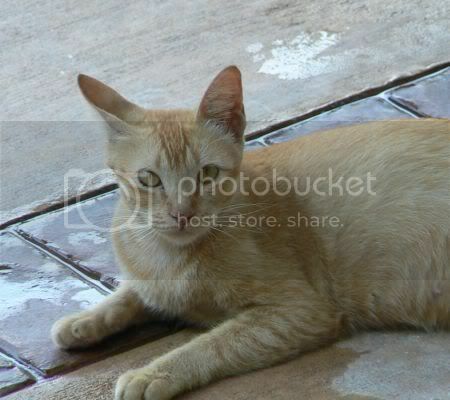 This particular brown and ginger mother cat comes to our door to meow for food every day. She has two kittens - one which looks like a miniature of her except it has a long tail and another ginger kitten which was born with a defect leaving it with a longer leg. Although she's not as pretty as the cats behind, we leave food for the whole family every day. This weekend's WCB is hosted by Heather's Space, so hop over to her blog for the round up of adorable kitties from all over the world. Natrabu, the famous Nasi Padang place from Indonesia has recently re-opened for business in Kampung Baru. Previously located around Sentral in Brickfields, the restaurant is now housed in a bungalow just behind the Petronas station, off Jalan Raja Muda Musa. I've not been to the first outlet but we were blown away by this place especially the food. In fact, out of all the Nasi Padang places I have eaten till to date, this is still the best and the priciest. The wait staff are decked in traditional Minang costumes and if you wish to plan a wedding, there's even a dais all ready for the important pelamin ceremony. I love the juices at this place - totally pure and so thick. We had the Alpokat with chocolate sauce and their cucumber juice. It may too early to mention desserts at this point but they do a pretty mean Es Teller here. 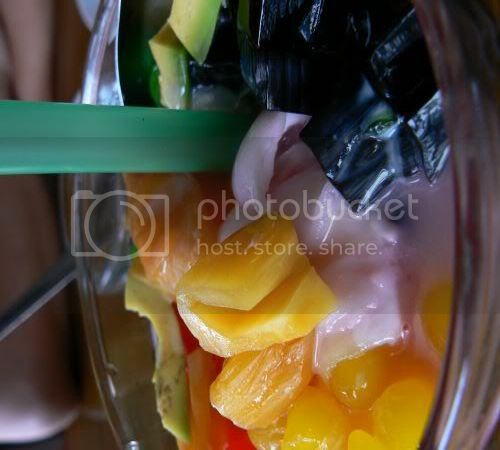 I like the colours of the dessert - large sago pearls, slices of avocado, young coconut slices, grass jelly cubes and jackfruit pieces. At Natrabu, you can opt for two ways to be served; a selection of each of their special dishes to be placed on your table by them or just pick and choose what you want from the counter directly. I can't remember how many dishes they laid out for us but I know it covered almost the whole table. Although everything was very tempting, we had to resist and only take a few dishes. Even though we tried to limit our choices, we still ended up rolling down to our car with satisfied tummies. 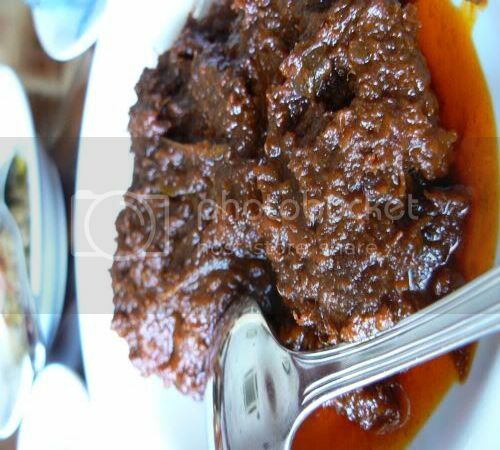 I love their Rendang Minang - very rich and the beef that came with it was so tender. 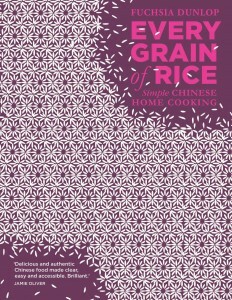 You need lots of rice to eat this. 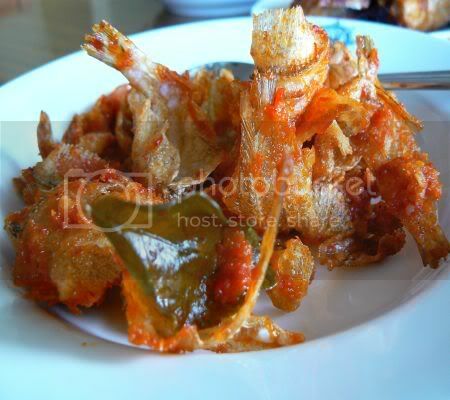 My absolute favourite and something I can't seem to find in any other Nasi Padang place - the Ikan Teri Goreng. This picture does not justice as the curry leaf is blocking it but it's essentially small fishes which have been cut into half in the middle, deep fried and tossed in a dry sambal sauce. So addictive as it's so crunchy with just the hint of chilli. 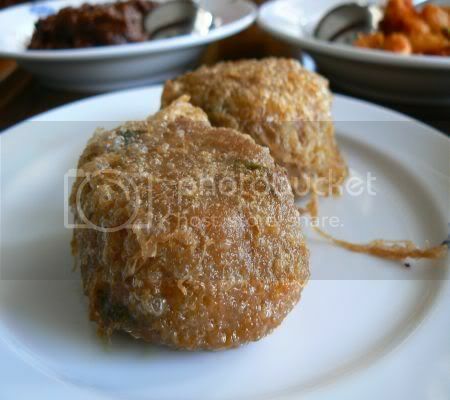 Splashie Boy's favourite - the Perkedel which is made from mashed potato and beef and pan fried. I thought this was nothing exceptional and could be replicated in almost any Nasi Campur place in town. Ayam Pop is a must have in a Nasi Padang place. 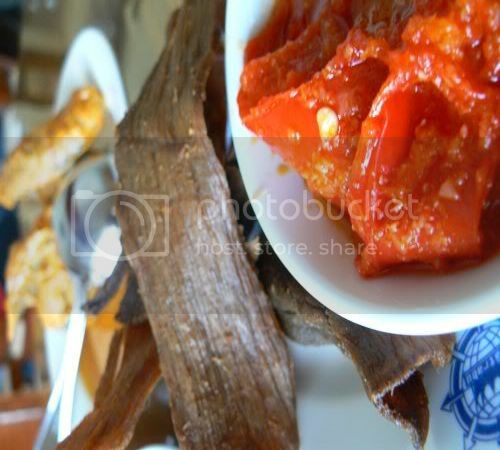 Natrabu's version comes with a chilli sauce dip and the ubi kayu (sweet potato) leaves on the side. The chicken is juicy and fried every time you order it. I love the Dendeng here - razor thin and crispy. The best I have tasted so far as it's not tough like the other places. Eat it with the sambal for a nice kick to the dish. This was a yummy sambal which I ate alone as Splashie Boy preferred his crunchy long beans. I can't really remember what was inside it but it must be something he does not eat as he avoided this dish completely. 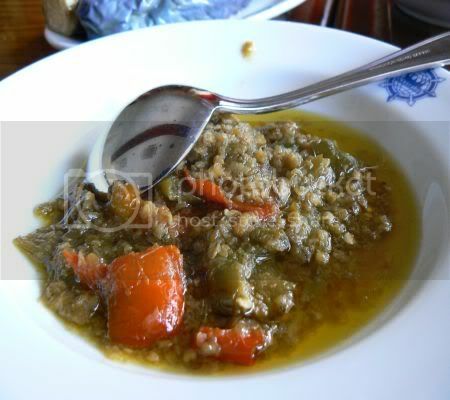 For vegetables, it was sweet potato leaves cooked in coconut milk. 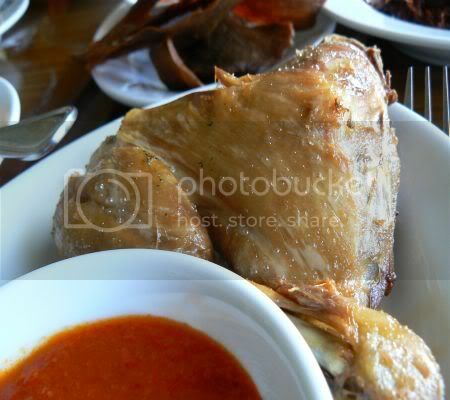 Nothing special about this dish and also found in most Nasi Padang places. I'm not showing the long beans dish as I felt it was ordinary as the one in Sari Ratu was nicer. Besides these dishes, they also serve deep fried chicken, prawns with petai (stinky bean), fish curry, grilled chicken, baby eels, brinjal with sambal and etc. Although prices here are more expensive than the other Nasi Padang places in town, the food is yummy. It's also the only place I know so far which serves the yummy Ikan Teri so it's on my list of places to be revisited again and again. 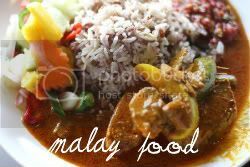 I have been racking my brains trying to figure out what else I have not featured on the blog before and suddenly it hit me one day, it was one of the all time favourites of any Malaysian from the mamak stall i.e. the Maggi Mee Goreng. There's something so great about these fried noodles made from the Maggi brand instant noodles that always makes me crave for more. Although found in every mamak stall, it's not easy to find a truly great Maggi Mee Goreng as most of the time the noodles end up overcooked resulting in a soggy mess which reminds me of my homecooked efforts. At this al-fresco stall in popular SS2's open air Medan Selera (Food Court in Malay), the Maggi Mee Goreng (RM3) is in my own opinion, close to perfection as the noodles are cooked al dente, spicy but too spicy to make your eyes water plus tasty with the minimum of ingredients to make you itch to order a second plate. These noodles will always come with egg (usually scrambled in the noodles), spinach and pieces of tofu. 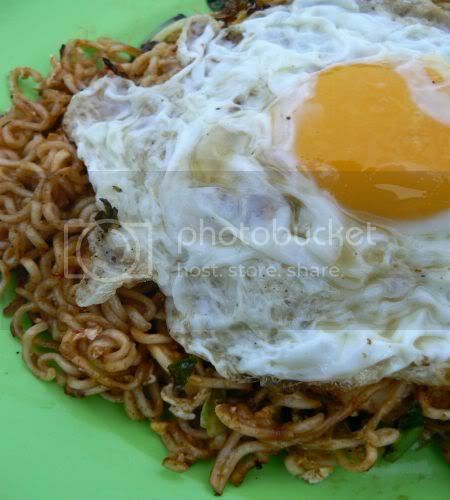 For this stall, order your fried noodles with a sunny side fried egg that complements the dish perfectly. If you wish for something more substantial with your meal, you can also order from the other stalls that sell Thai food, fried seafood like lala, O Chien (Oyster Omelette) and etc. Bear in mind though, these stalls can be quite territorial so check with the stall owners if they do deliver to where you sit before you order. It's best to sit near this stall when you place your order as there are a few mamak stalls that have marked out their territory. Last weekend, Splashie Boy went gallivanting away with the guys in the jungles of Terengganu. Usually when you're out in the wilderness, there's not much to do after dinner except sit around the campside and talk about anything and everything. Now these conversations usually revolve around cars and tires (yawn!) 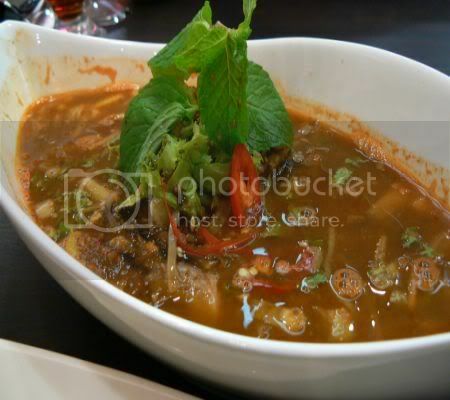 but an interesting subject they did discuss was how difficult it was to get good Sarawak Laksa in the Klang Valley from the resident expert, Paul who recently penned a few articles on the subject. 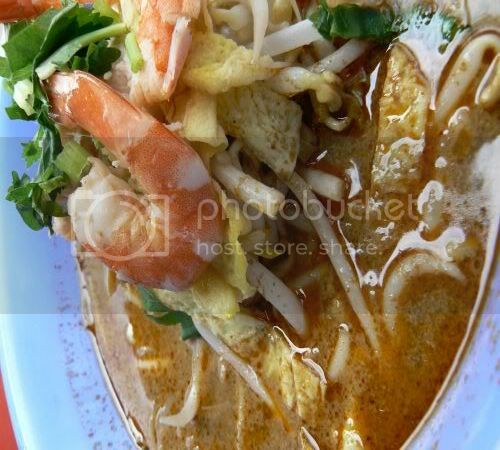 I can't claim to be an expert since I've not visited Sarawak but I do love Sarawak Laksa. According to Paul, the stalls in Kuala Lumpur just don't serve them like how they do in Sarawak and if you want to taste the real thing, you have to make it at home with the paste brought back from Sarawak. What is extremely important is the santan (coconut milk) added as it can't be overboiled and must be freshly squeezed. Since I didn't have the famous Swallow brand laksa paste but I was hungry for Sarawak Laksa after hearing the stories from Splashie Boy, I decided to try the next best thing which is the laksa found at Nam Chuan, Lucky Garden, Bangsar. Served by a lady from Kuching, the Sarawak Laksa was pretty good and not as thick as the other laksas I have eaten before. A small portion costs about RM4 which is served with shredded egg, bean sprouts and two big prawns. I deliberately took a half picture of the laksa this time so all of you can see the broth it comes it. Although it didn't really hit the spot for me, I guess it will have to do until Paul cooks his famous laksa for us (big hint!). See the Sun's write up for the location map and opening hour details. I totally forgot about this picture I snapped on Saturday night until I downloaded the data from my camera. Last Saturday night, as I was driving in Petaling Jaya, I came across this procession on the main road. It was getting dark but I stopped by and took a few snaps. As you can see I'm hopeless in taking night pictures probably because I've always avoided using a flash! 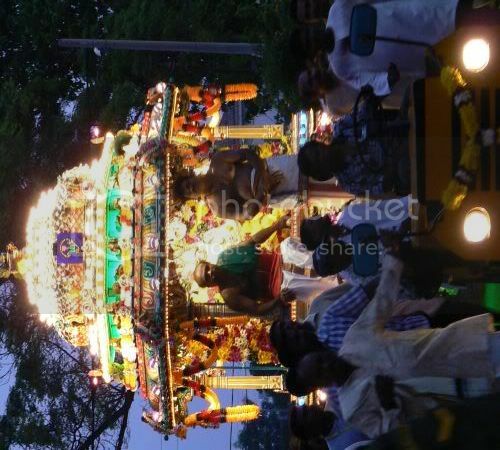 There was a group of people following the chariot which I could see was travelling from house to house and the original point was from the Indian temple nearby. As it was quite rude of me to stop the crowd during their religious ceremony, I didn't really ask many questions. However, I did get some information from one man who was lagging behind and all he could advise me was the chariot goes from house to house to allow them to do offerings. The nearest I could get on the Internet from my memory were pictures Lilian from Malaysia Best took in Penang of a procession. It had cows, milk pots and etc while this procession I witnessed was on a smaller scale. If anyone knows what the ceremony is all about, do enlighten me as I would love to know more about it. I'm kinda in a snack mood these few days and recently had the urge to indulge in some sinful food i.e deep fried banana and kuih bakul which are my favourites. 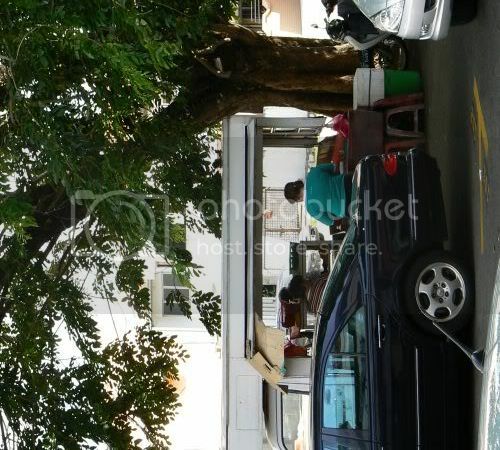 This stall located in a van under a nice shady tree in SS2 has been around for a long long time. Directly in front of Nasi Kandar Pelita and opposite the Alliance Bank, it's been the place to stop by for a snack during teatime. Their deep fried bananas are really yummy - I prefer the Chinese version versus the Malay version because they use riper bananas that taste so much better after it's been fried. Other places often slather the bananas with too much batter making it too thick but I like this stall's ability to keep the batter not too thick. Their fried bananas are best sellers at RM0.60 a piece and sold on the spot from the metal container used to hold it to drain the oil out. Since it's so popular, you usually need to wait a while for the lady to fry them so you can get them piping hot. Another popular item is their kuih bakul which is made from three layers: nien gao (sticky glutinous rice pudding which we usually eat during Chinese New Year), sweet potato and yam slices. Although this one is not as big as the kuih bakul I featured before from Kuala Lumpur's Weng Hing, they make it up with really nice and soft sweet potato and yam. 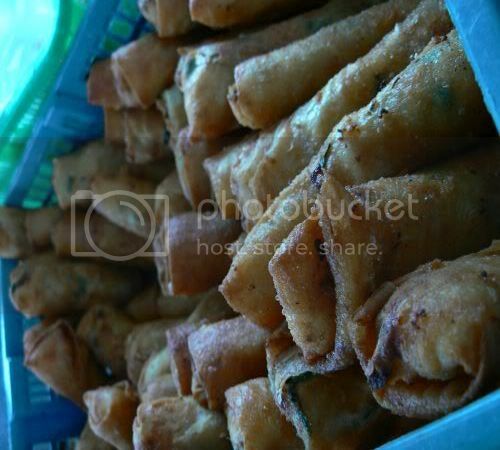 This stall sells a large variety of snacks, there's deep fried popiah or spring rolls if you wish to indulge in those. Even curry puffs and deep fried tapioca balls are available. 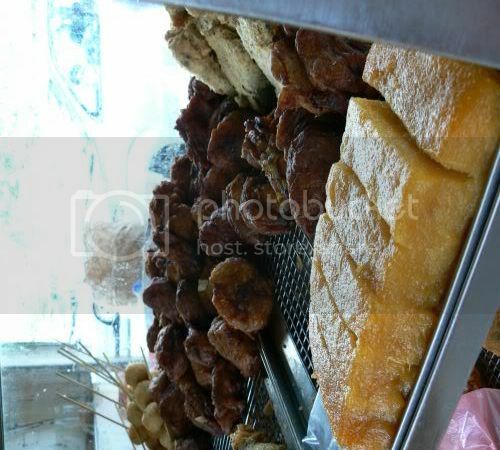 There's also cekodok, deep fried fishballs on a stick and tapioca cake or kuih bingka for sale. 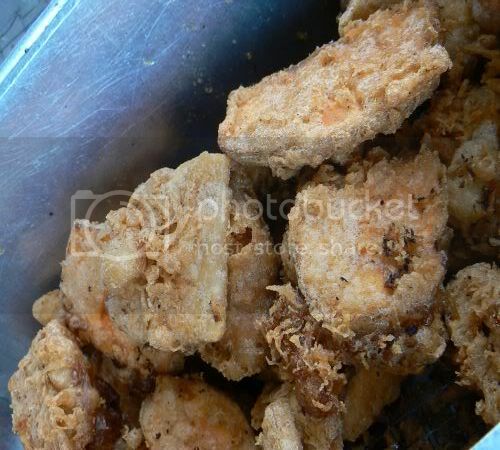 Usually, it's advisable to order their deep fried bananas and kuih bakul as these are always fried on the spot versus these other items which have been fried ahead of time. Opened from lunch time to teatime daily except Mondays. After reading Robyn's great post on the food from Chendering's night market, I started dreaming about Putu Pirings and Putu Bambus. I suddenly remembered I have a close up picture of the Putu Bambu I love from Kampung Baru hence I thought I'll share it with all of you. I first discovered these when I did my Ramadan Bazaar series in Kampung Baru and ever since, I often sneak to Kampung Baru for my fix. You don't usually get Putu Bambu as Putu Piring is more common. 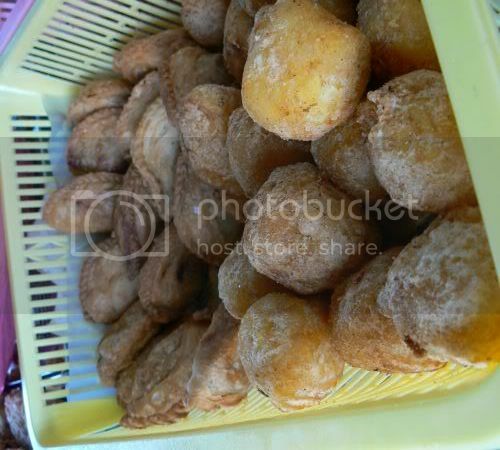 If I am in Petaling Jaya, I usually get my Putu Piring in front of the smaller Giant supermarket in Kelana Jaya as there's a stall which sells them from teatime onwards. If it's Kuala Lumpur, then we usually go to the stall in Bangsar right in front of TMC. There are many variants of the Putu which are all made from ground rice flour and steamed in different casings - there's the flat version i.e. the Putu Piring (Piring means plate in Malay) and the cylinder kind which is steamed in bamboo casings hence the name Putu Bambu. The Indian variety is called Putu Mayam or string hoppers where they mix it in a dough and press it through a sieve to make them into stringed nets which is then steamed. All these putus are served with gula melaka (palm sugar in Malay) and shredded fresh coconut as they don't have any taste if eaten alone. 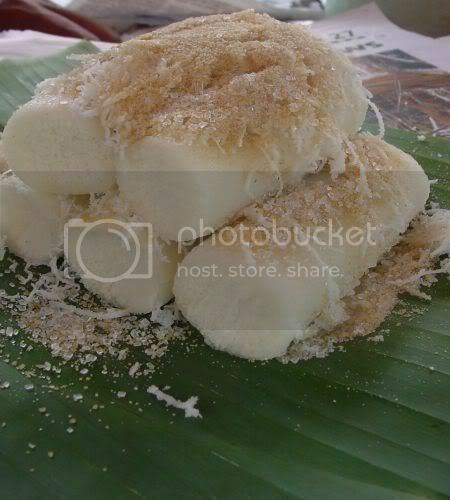 If any of you have seen or eaten any other Putu variants, do drop me a comment as I'll love to hear about them. Although the kitty cats generally get along, once in a while they do get into fights. Managed to capture this brilliant picture just before a fight. The grey and white cat often starts fights probably because he's a boy and likes to bug his bigger ginger sister. See how Ms. G knows she's under attack hence she has flat ears and her tail is starting to fluff up. 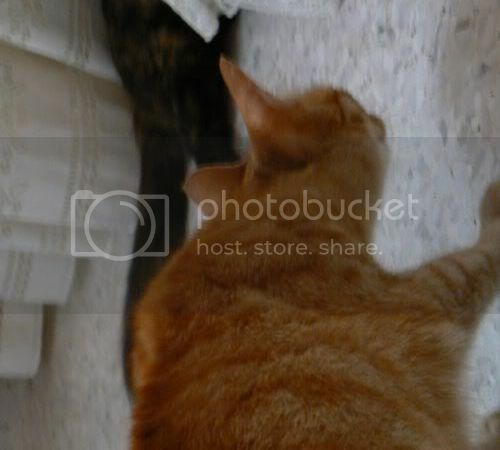 After I shot this picture, he attacked her and I had to quickly break up the fight before any fur flew. I'm not sure what's happening with WCB this weekend as Clare from eat stuff has kinda dissapeared but nevertheless I'll post this up or else you kitty lovers will be dissapointed. Recently we did a bit of exploring around the Sri Hartamas area which gets forgotten most of the time for the flashier Desa Sri Hartamas outlets. Lots of changes around there - a branch of the Bakery from Ampang is opened there and it looks like Salero Negori is also set to open a new outlet there as they're currently doing renovations. Am also surprised to see Han Chon, the Korean fried chicken place still open. We eventually ended up at this place called Yatra which serves Indian food. 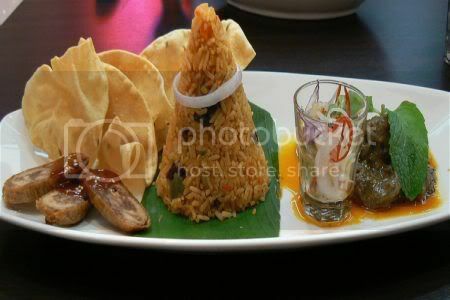 Although their specialty is banana leaf rice, we ordered different items. 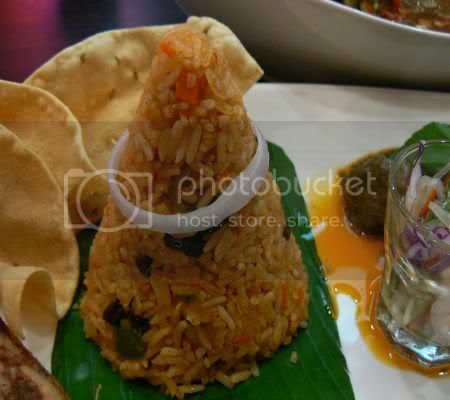 I had their Palakad Mutton Briyani set (RM8.50) which was served in an interesting way as seen above. The mutton pieces are buried under the rice hence you don't see them. Pretty good stuff and not oily. I read that it's cooked with yoghurt making a healthier. The mutton was quite hot and spicy that I had to eat quite a bit of cucumbers to cool down my tongue. The small side dishes were dhall, curries, achar, cucumbers in yoghurt and onions with chopped green onions. Something unusual they have on their menu are their wraps - they have them for chicken tikka, mutton and even paneer (vegetarian cheese). 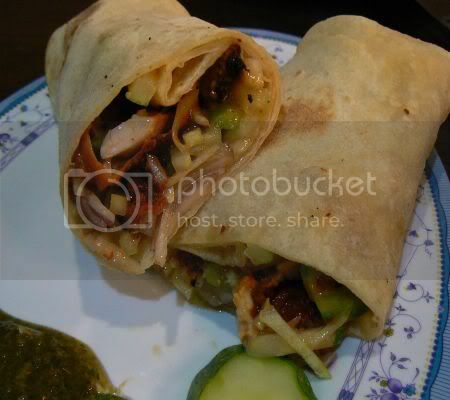 Splashie Boy had the Chicken Tikka Wrap (RM6) which was yummy and filled with chicken tikka and shredded cucumbers. This came with a mint sauce on the side. 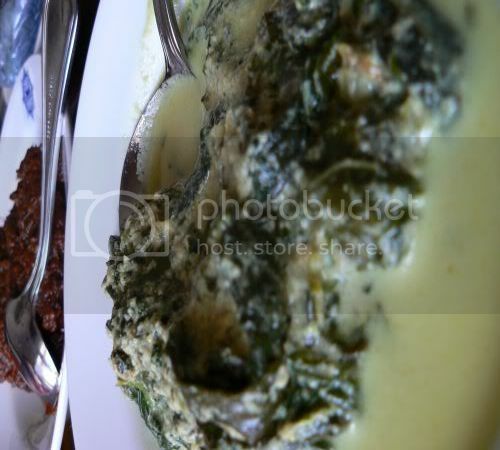 Makes a nice light meal especially for lunch time when you don't want to eat too much. 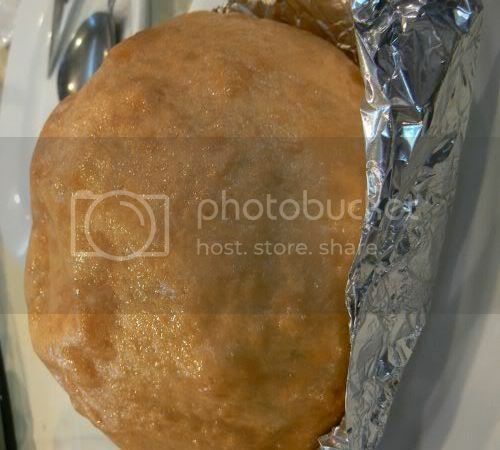 We also spied other interesting items on their menu like sweet appam, appam, pani puri, thali sets for puri, chapati and etc hence we will definitely be back to try the other items. 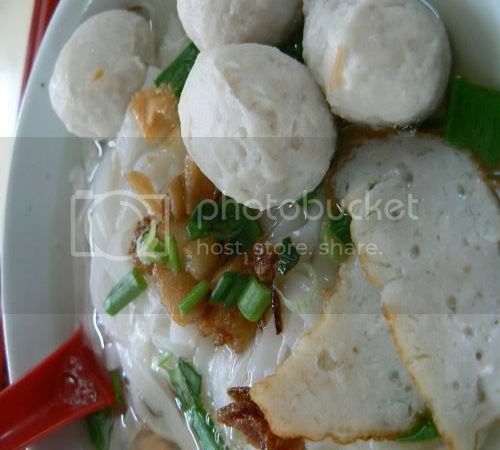 Every time I mention the Teochew Fishball place in Paramount Gardens, a friend of mine will talk about her favourite fishball noodles located in Section 17. I decided it was time for me to search for them one afternoon and I found them easily at the Medan Selera (Food Court in Malay) just next to Section 17's wet market. The Medan Selera is quite small with probably ten stalls that serve a variety of Chinese food like tong sui, pan meen, drinks, fried rice and Malay food. You can see it's also a meeting point for the people who live at the flats nearby as everyone seems to know each other. I headed towards the fishball stall and ordered a small bowl of kuey teow with their fishballs and pieces of fishcake (RM3). My bowl of noodles came with thinly sliced fishcake, fishballs, preserved vegetables, bean sprouts and a sprinkling of deep fried lard on top. I couldn't really taste the fishcake as it was too thinly sliced but I fell in love with the fishballs. If you see the picture closely, they aren't the smooth type indicating they're very home made and not factory processed like the ones you usually get in other hawker stalls. The soup was also nice and clear with no hint of MSG as I didn't feel thirsty after my meal. Now if I had to make my ultimate fishball noodles: it would be the fishcake from the Teochew fishball place, the fishballs from here plus the fish skin wantans from the Cheras place. Life in Kuala Lumpur .. and other places .. I have this this thing for Nyonya food hence I tend to try a lot of these restaurants whenever I find one. This one was a newish place that opened in Lucky Garden, Bangsar at one of the quieter shoplot areas i.e. just near the Indian stalls where you can get appam and etc. This restaurant is very much a family owned venture and you can see the father taking orders while the mother and son work in the kitchen. It's not entirely a Nyonya restaurant as they also serve Chinese dishes. We started off with the Pie Tee (RM8) which came assembled for both of us and topped with a delicious chilli garlic sauce. You have to eat this fast or else it'll get soggy on you and we had no trouble finishing it as they are our favourites. They make this drink called ginseng with red dates (RM3) that is excellent as it helps cool you down especially during these heaty times. It's their own concoction and it's nice and refreshing as you can get it chilled. We ordered a portion of chicken lorbak (RM8) and this was a dissapointment. I thought it lacked flavour and it was not crispy enough as some bits were chewy rather than crunchy. Remember I mentioned they also serve Chinese dishes, well they also serve a unique dish called Butter Chicken (RM12). Although very simple, it's unique as you don't see many restaurants serving this dish. 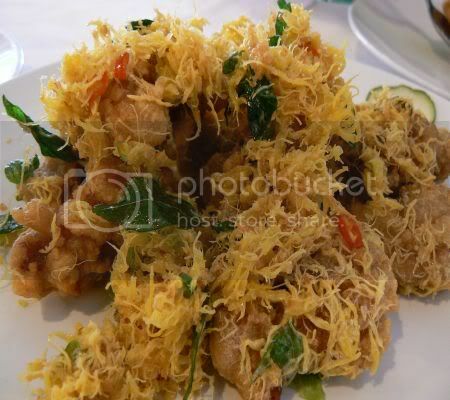 Boneless chicken pieces are deep fried till crispy and they are coated in the buttery egg floss with curry leaves. Splashie Boy loves this dish as he has a "thing" for Butter Prawns minus the shells. 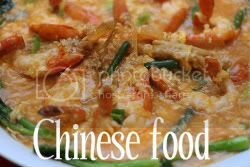 Not many restaurants prepare that prawn version without shells except the chinese restaurant in KLGCC and Chynna in KL Hilton so finding this version which uses boneless chicken was fantastic for him. 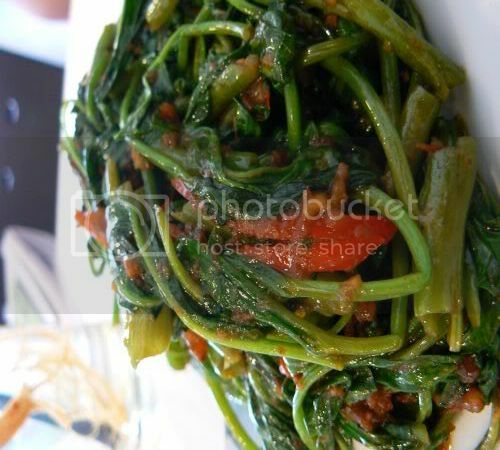 Another must have when we eat at any Nyonya place, the kangkung belacan. Their version was pretty okay and very healthy as sometimes we have been served this dish where the vegetables are drowned in a pool of oil. Overall the food here is pretty decent and great whenever you feel like having a home cooked meal and I know this is definitely a favourite for Splashie Boy since it serves his favourite butter chicken. You can also get Nyonya kuih and desserts but since we were both too full from lunch, we skipped them.